All talk about this spin-off seems to have dissolved. Google results don't show any info past 2017. Last I remember they hadn't been able to secure a site. Is it still happening? in October Emily said that they were too busy with Glastonbury to be doing anything else ..
it's still over 2 years away. They may have just signed a lease on the land and done nothing else as there's no rush. I wouldn't expect any festival to be planning things more than 2 years in advance really. Waiting until after G19 would still be loads of time for pre-planning and organisational stuff. Wasn't there some suggestion that Longleat were going to be involved and some representatives were scared off by the logistical challenges of mudfest'16? yep. I'm not entirely sure how real the approach to Longleat was, it might have really just been a bit of convenient cover. Is it? The year they were going for seemed to change every time an Eavis was interviewed. I'd bet money that the only thing that's happening in 2 years is Glastonbury 2021. I'd bet money that the only thing that's happening in 2 years is Glastonbury 2021. I hope so, I was concerned when all this Variety Bazaar stuff started that they were going to have a fallow year so soon after this one. The thought of another festival after the 50th makes me feel better. I'm pretty sure the idea started off as something they were genuinely looking to do, and originally for the fallow year we've just had. The festival has a number of permanent staff nowadays which it never used to have, and they need to be earning money for their wages during a fallow year. I'm guessing that things didn't come together quick enough for that to be a goer, so it then became a receptacle for any other ideas people were thinking up, including using it as a bluff for negotiations with landowners. I'll go with that, although the speed in which they seemed to drop the idea as soon as a multi-year deal was signed with the locals makes me wonder whether the negotiation aspect wasn't part of it from the start. I guess it's possible that it started off just about the fallow year, then became about both the fallow and negotiations and then between Longleat falling through and he new deals getting signed became pretty much entirely a negotiating strategy. To be clear, if the Longleat side hadn't fallen through after 2016 and the deal with the neighbours didn't get signed, then I do believe we would have seen a Variety Bazaar last year, followed by a Glastonbury festival this year, on newly negotiated land - so not a bluff. I'd still quite like to see another festival in the fallow year. But if it ever happens, it's unlikely to have so much of Michael's prints over it, given that he's 83. I'll go with that, although the speed in which they seemed to drop the idea as soon as a multi-year deal was signed with the locals makes me wonder whether the negotiation aspect wasn't part of it from the start. It's quite possible it was only ever a negotiating bluff. But for what you say there, that's it being a negotiating bluff at the end of the story. It could have been a genuine attempt at a new festival at the start of the story. It's probably still in the back of their minds for the next fallow year (2024?) but far to early to be planning for that yet. I think it'll be exceedingly difficult to do as a fallow-year-only thing.  The biggest problem I can see is finding a site which would be happy to hold a festival one year in five. Anyone offering their land as the site is probably wanting an income every year from it - and if Glastonbury wouldn't be running a festival there every year they'd quickly find someone else to do it and then Glastonbury would lose that site. Truly dreadful name...the Eavii don't get much wrong but they dropped the ball with that one. I know of at least one supplier to the festival who was told where the location they were looking at holding this was. Same site as Boomtown they were told.